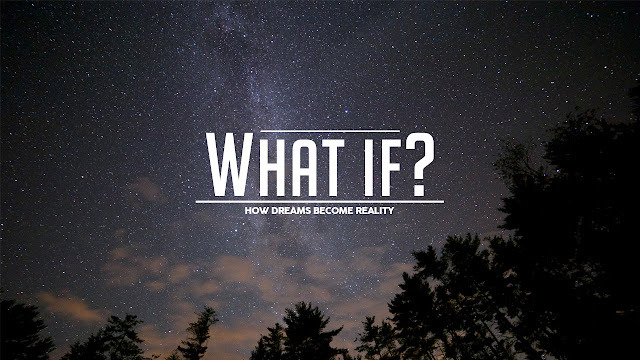 A Principal's Reflections: Are You Driven by “What If” or Held Back by “Yeah But”? Are You Driven by “What If” or Held Back by “Yeah But”? Imagine if only everything went as planned in life. If this was the case, I am not sure that there would be any lengthy discussion on a growth vs. fixed mindset. As we are all acutely aware, even if you diligently take into account many potential variables, things might not still work out. When this happens, it is not only frustrating, but it also impacts our psyche resulting in apprehension to try something new or different in the future. The saying what gets planned gets done still holds water to some extent. However, the outcome might be impacted in a way that motivation to continue to innovate is tempered or even drowned. Planning aside, there is another inhibitory element lurking in every organizational culture including education, and that is excuses. We all face challenges in the professional workplace such as not enough time, lack of funds, socioeconomics, limited support, too many initiatives or mandates, lack of collaboration, naysayers, and antagonists, to list a few. Now I am not saying that anything contained in the previous sentence is not a legit challenge. They most certainly are, and we have to work even harder and more diligently to find workable solutions to overcome them. My concern is when challenges that will always be present in some form or another morph into excuses. It is excuses that hold us back. There are times when we may find ourselves in the midst of a life crisis, experiencing issues with employment or with money, with health, or relationships. No matter what the situation, using it as an “excuse” can only last so long. Eventually, these excuses become habits and patterns that may forever hold us back if we don’t address them. The most common reason we use excuses, however, is when there is some programming in our subconscious mind that makes us feel that we are not good enough, or not smart enough, or not talented enough to have what it is we want. It is through this line of thinking that we start viewing these external situations or events as excuses for why we can’t do what we want to do. With a firm grasp on our purpose, it is easier to approach challenges with a “what if” attitude instead of “yeah but” disposition. The former is what epitomizes a growth mindset and provides the needed motivation to move innovative change forward even if the desired outcome is not guaranteed. Think about how important this shift in thinking is when it comes to helping our learners find success. All kids have greatness hidden inside of them. It is the calling of all educators to help them find and unleash it. A “what if” approach looks beyond any challenges to assist kids that need it the most. It also helps to unlock our potential and hidden talents. Celebrate where you are and what you have accomplished, but never become complacent. The pursuit of being where you ultimately need and want to be is a never-ending journey. We need to focus on the “what ifs” instead of the “yeah buts” to help get our learners and ourselves to the desired destination. Excelente reflexión. Gracias por compartirlo, Eric.